Testimonials from doTerra users who claim to control seasonal allergy symptoms by combining three essential oils and using them regularly are all over the Internet. Endless allergy misery was the first health concern that led our family to doTerra. 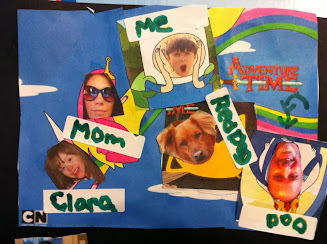 How did our experience compare? Trust me, we know allergies in this house. I used to be a Certified Asthma Educator. Spring and fall are torture for me and my children despite all my "educated" efforts at controlling allergy triggers. My 6 year old son has had years of raccoon eyes, green nasal drainage, sinus and ear infections, and night after night of endless coughing from allergy induced asthma. My 8 year old daughter, who has special needs, has dealt with the same but with the added insult of an endlessly running nose that she can't even wipe or blow without help. I had sinus surgery 10 years ago, and have been fantasizing about surgery #2 for 6 years. My daughter getting a breathing treatment while wearing an oscillating vest to drain her sinuses and lungs. She did this for 20 minutes twice a day from fall through the end of spring allergy season. We were all maxed out on OTC and prescription allergy medications, yet still suffered! Allergies and sinus are what originally led me to doTerra. I had been dealing with an allergy triggered sinus headache for a week. Sad to say, but nothing new. I told a friend I was ready to cut my own head off, and she came straight over with a purse full of doTerra essential oils. She layered peppermint essential oil, wintergreen essential oil, and the Breathe Respiratory Blend over my sinuses and temples. I have been studying eo's for over 20 years, but never applied any directly to my face like this. After about 10 minutes, the eo's did what round the clock Sudafed, Advil to the point of bruising, and a medicine cabinet of pills and nasal sprays could not do. My sinuses dried up and my headache went away. It began to return after an hour, but she had kindly left me samples and directions on how to reapply the oils. Once the crisis was over, I wanted more, more, more relief for all of us! Since allergies are the root of so much evil in our home, I began researching how doTerra essential oils are used to control allergies. With the help of some local IPC's, I learned that three essential oils are commonly combined to create what many consider to have a natural antihistamine effect. I began using a homemade blend of the three oils several times a day on my children and myself. I was shocked by how quickly we began to look and feel different! Circles under the eyes disappeared, the eternal fountains of running noses trickled to a stop, and the night time coughing ended! We have remained on our basic daily prescription allergy medications, but the chronic breakthrough symptoms have stopped. 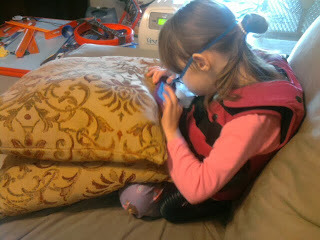 Now we only need OTC meds and breathing treatments in extreme allergy exposure situations (more on that later). The essential oils are lavender, lemon, and peppermint. 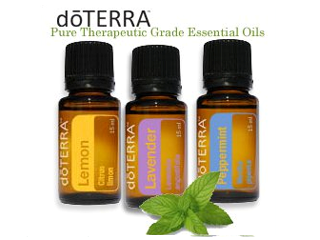 doTerra essential oils are potent and have a high standard of purity. Each of these three oils can be used aromatically (diffusing or smelling), topically (applying to the skin), or taken internally (eating or drinking). I'll share how we are using the allergy trio and some other popular allergy protocols in my next post. My name is Anara Midgett. I am a mother, Registered Nurse, writer, and IEP Advocate who has been studying essential oils for over 20 years. 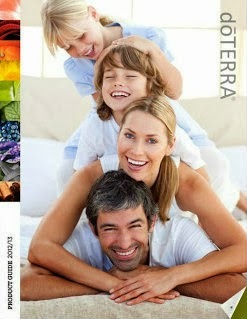 After seeing the effects of DoTerra CPTG eo's on my family's health, I started selling DoTerra! I love sharing what I'm learning about the therapeutic uses of eo's. I hope you will enjoy learning with me. What is the Art & Science of Essential Oils? The science of eo's is found in ongoing research into how and why these natural plant extracts have been used for health & wellness for thousands of years. The art is in determing how to apply this knowledge to modern lives as we try to take control of what we expose our bodies to while limiting rising healthcare costs. Always follow label guidelines for use. Not every EO is safe to be taken internally! Visit My Online Retail Site! Shop for doTerra products, browse the latest Product Guide, and read Living ezine for tips on making doTerra eo's part of a naturally healthy lifestyle! doterra Free Frankincense Promo is Here! Webinar Breakdown: Frankincense "The King of Essential Oils"